Sometimes the best way to motivate your team is through good old fashioned storytelling. Stories transform our thinking and inspire us to do great things. Great stories not only entertain, but they bring people together through shared experiences and help build strong connections. Movies at their core are just stories with actors and moving images, that’s why we love them! Sure, they act as a form of escapism, but they also offer a way for us to see new places and experience things outside of our own reality. Want to build stronger teams and inspire them to do their best? Show them examples of teams that struggle, overcome and ultimately succeed. An easy way to do this is to simply show them some kickass movies! Leave it to beautiful-haired Coach Gordon Bombay to give epic team building advice. This classic 90s movie covers everything from teamwork to building focus. The Ducks may have started at the bottom but they fly to the top. Why? Because of awesome leadership and primo teamwork, of course. The Olympics are in full swing in Rio and what better way to tap into their excitement than to host your very own office Olympics with the added benefit of team building? Our friends at the fabulous team building blog TeamBonding.com have six awesome tips for making sure your 2016 Office Games are worth the buzz! We’re all about team building here at TeamBuildNYC, so we love finding articles and testimonials that extol the virtues of company team building. In a recent blog post, Museum Hack identified three corporate team building strategies that will instantly upgrade your staff. Museum Hack suggests that the three main elements critical to successful team building are icebreakers that promote fun and bonding, company trainages, and forming deep connections. Our friends over at Museum Hack posted recently about a custom-built scavenger hunt they put together for Wix.com. What caught our eye about Museum Hack’s post was the way they highlighted the customer experience from start to finish. A Museum Hack group on a scavenger hunt. According to the post, Wix.com reached out to Museum Hack with a specific team building goal in mind. The company wanted to promote a certain type of communication – and one that Museum Hack had yet to work with. That, however, didn’t stop the team and they set about creating a team building event for Wix that would emphasize the company’s distinct team building goals. You know it’s time to invest in a team building activity for your group, but how do you decide what activity to choose? There are dozens of choices for company team building events in New York City, and we’re here to help you narrow down those options so you can find the best fit for your team. We firmly believe that team building isn’t one-size-fits all and we’re big fans of organizations that promote individualized, custom company team building events. What works well for your group may not be the best option for someone else. Today, we’re highlighting Museum Hack, a New York-based tour guide and corporate events company that takes visitors on incredible tours of several local museums, including the Met, American Museum of Natural History, Rubin Museum, and the Fraunces Tavern. A Dannon team member participates in the custom yogurt scavenger hunt. Museum Hack is all about celebrating each company’s individuality. Their tour guides will take your group on a custom museum tour, revealing crazy, little-known secrets and juicy museum gossip. Tour guides will plan with you in advance to make sure you get exactly what you want out of your team building event. They’ll even design a completely custom scavenger hunt meant to tie your company themes into the activity! 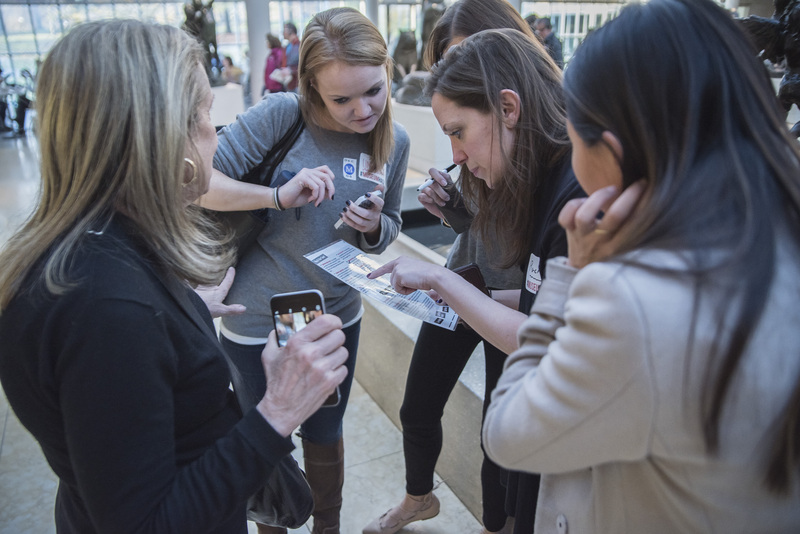 Recently, Museum Hack was able to create a brand new tour focused completely on yogurt for The Dannon Company at the Metropolitan Museum of Art. We love Museum Hack and their instance on celebrating what makes their customers unique. They are truly a company that believes no team building events should ever look completely alike. 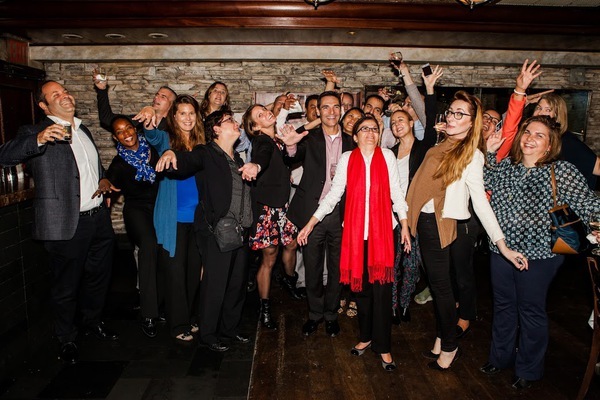 Get in touch and check out their New York company team building activites! We love collecting information on team building ideas here at TeamBuildNYC, so we’re always excited to see another article promoting different, fun team building activities. Last week, SmallBizTrends.com published a list of their top four popular and fun team building exercises. What makes their list so great is that it’s a combination of activities that can be done in or outside the office. 1) Office Trivia – SmallBizTrends.com suggests a round of office trivia to get your team members talking and bonding. To play, all you need is to come up with a list of questions about your company and even about your team members. Example questions include “How many people work here?,” “What year was the company founded?” and “Who is our CEO?.” Divide your team up into groups and have a fun trivia afternoon. 2) A Truth and a Lie – This is an oldie but goodie. In this activity, each team member shares two things about themselves, but there’s a catch: one of the statements is totally made up. It’s up to the group to determine what’s true and what’s false. This is a great way for your team members to get to know each other and have fun in surprising ways! 3) Volunteer – Volunteering is almost never a bad idea, but adding it to the team building repertoire is a great way to boost company morale and get out of the office. Volunteering activities can be as simple as planting trees or more involved like helping with a Habitat for Humanity project or walking shelter dogs for an afternoon. 4) Scavenger Hunts – Who doesn’t love a good treasure hunt? You can either design your own within the office or you can let someone else do the work for you. 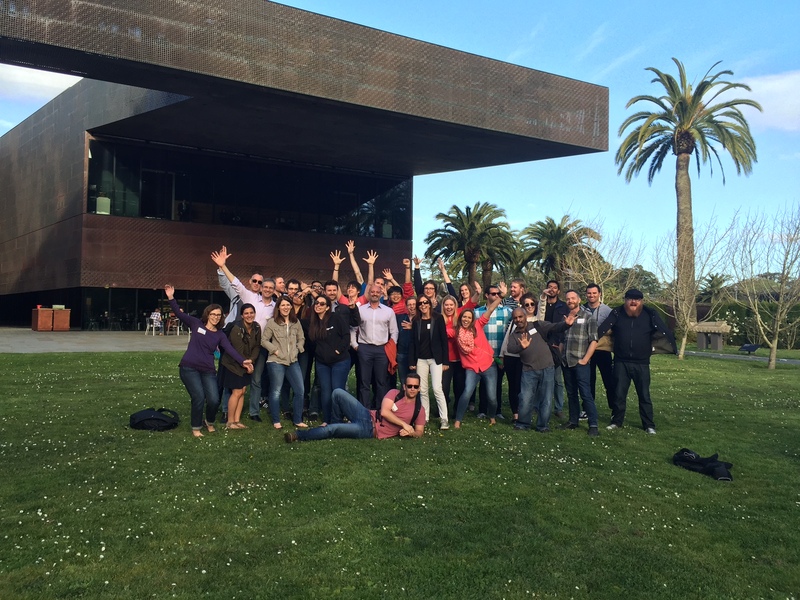 We love Museum Hack’s scavenger hunts in New York, Washington D.C., and San Francisco! We think team building should be fun here at TeamBuildNYC, so today we’ve put together a list of some of our favorite team building activities that don’t actually feel like team building. Gone are the days of icebreaker questions and trust falls; we’re all about promoting scavenger hunts, zombie battles, and intense battles against the clock as ways to bring your team members closer together. 1) Escape the Room NYC will lock your team in a room with just a few of clues showing how to get out. It’s up to your team to work together, find the clues, put all the puzzle pieces together and free themselves before the hour-long timer runs out. Putting your team in an intense setting like this encourages camaraderie, creative and critical thinking skills, and teamwork. 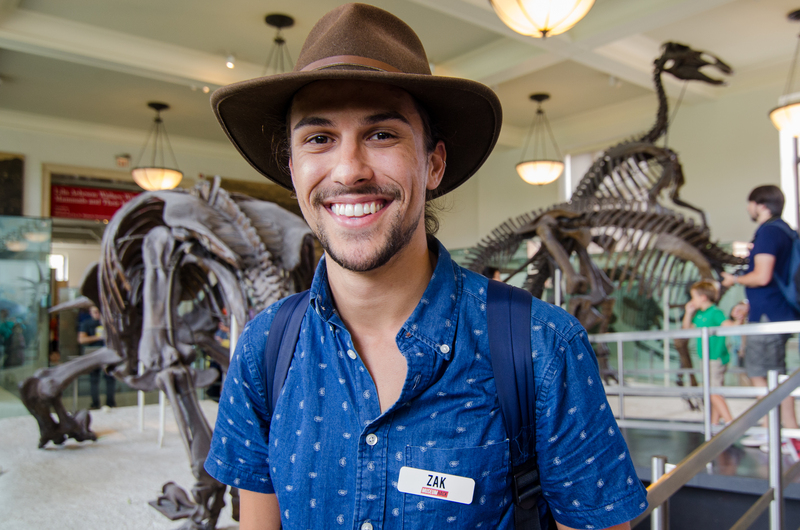 Exciting news from Museum Hack as the company announced the promotion of tour guide Zak Martellucci to a full-time team member. Zak has worked heavily on the company’s public and private tours, helping to put a creative spin on team building and corporate events. You can read more about Zak and his new role over at MuseumHack.com. Last week, Museum Hack identified three corporate team building strategies that will instantly upgrade your staff. 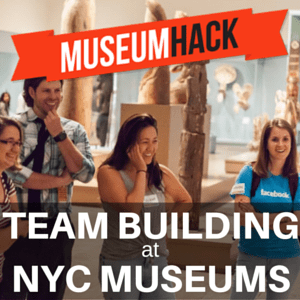 Museum Hack suggests that the three main elements critical to successful team building are icebreakers that promote fun and bonding, company trainages, and forming deep connections.